I got some mail today - well technically I didn't, it's actually for Mike Greygun, whoever he is. It's an awesome surname though. "Greygun" - makes you think of a mercenary for hire, he doesn't care if he's fighting for a cause or for chaos, as long as there's enough coin to be had, Greygun will be on the scene. Or maybe he's a gnarled old cop, ready to dish out justice on the mean streets. The YouTube Adventure is for you. Head over to my first video where I'm outlining the plan - a character put together by the YouTube community will explore the land of Kinban, starting in the village of Thorn, and travelling north to reach the Citadel of Rett. In the Citadel you must tackle the evil King Zir, who is tormenting the land. You'll get to decide at each stage of the adventure how your character is going to act. Go watch the video now, and make sure you get a comment in quick, the next video will be mid-week next week! If I didn't have Raven as a surname (which a number of people have asked me if I made it up to sound more cool!) I'd definitely be Mike Greygun. 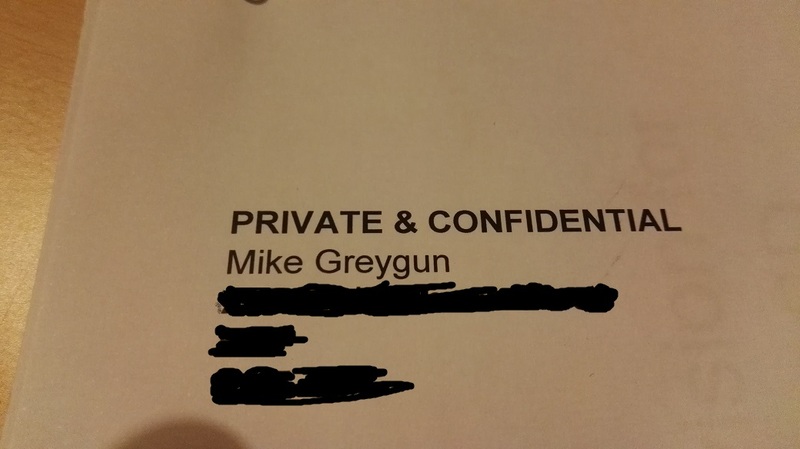 Mike Greygun PI for hire. Is your lunch missing from the computer at work? Call Mike Greygun. Hey, you know somebody has been using all my tabasco sauce. Can you help with that? Absolutely Tim, I think Dr Dawg has been using it in his missile defense system. Mike Greygun, new head of Tribal Police is out to run off the non-native squatters on the reservation. Haha I love it :) It's a trilogy in the making!